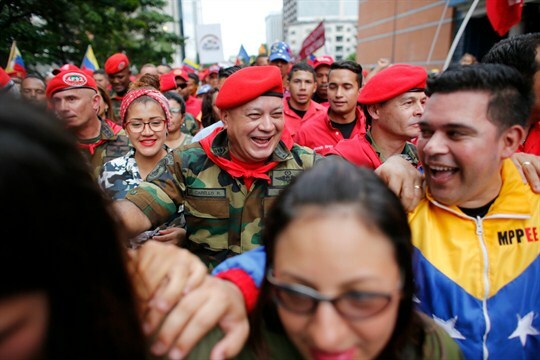 Diosdado Cabello, center, the chief of Venezuela’s ruling party, attends a parade marking the anniversary of a 1992 failed coup, Feb. 4, 2018 (AP photo by Ariana Cubillos). Earlier this month, before leaving for a five-country trip in Latin America, U.S. Secretary of State Rex Tillerson speculated about a potential way out of the economic and political chaos in Venezuela. Perhaps, he suggested, the best solution was a military coup d’état. “In the history of Venezuela and South American countries, it is oftentimes that the military is the agent of change when things are so bad and the leadership can no longer serve the people,” he told an audience at the University of Texas.